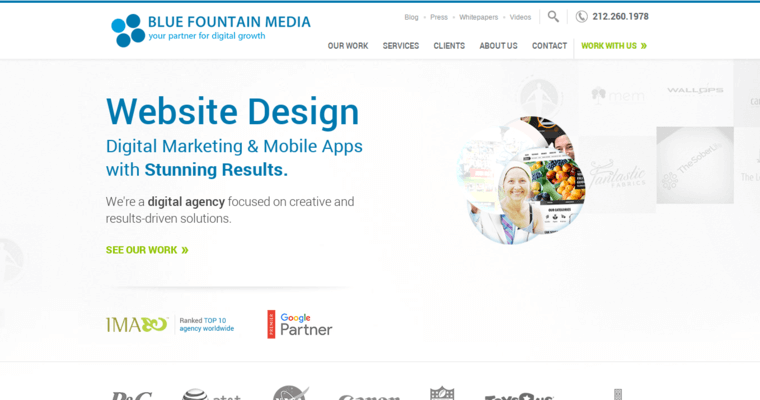 Blue Fountain Media is a popular digital marketing agency that has become known for its conversion of webpage visitors into loyal leads and customers. This digital marketing agency was established in the early 2000s in New York City and quickly expanded to include two additional offices in Chicago and Seattle. The company's rapid growth and success is largely attributed to its unique ability to guide the customer conversion rate of small businesses and startups from start to finish. 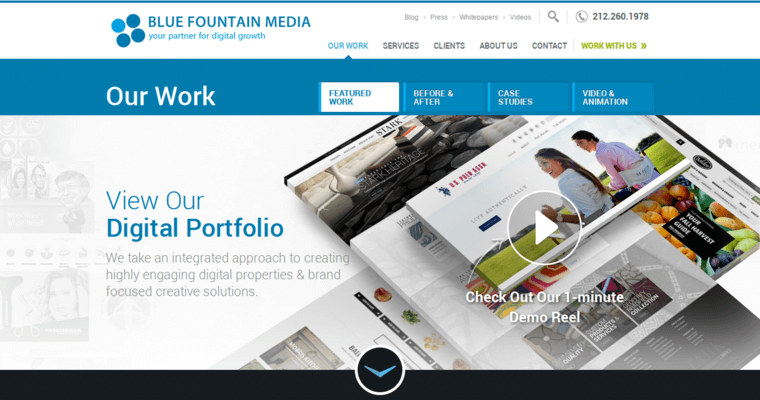 As a full service digital marketing agency, Blue Fountain Media has gained an international following and has assisted clients across the world. The company has even earned several coveted digital marketing awards including the Top Interactive Agencies Award, the Top Digital Agency Award, and the Interactive Media Award. 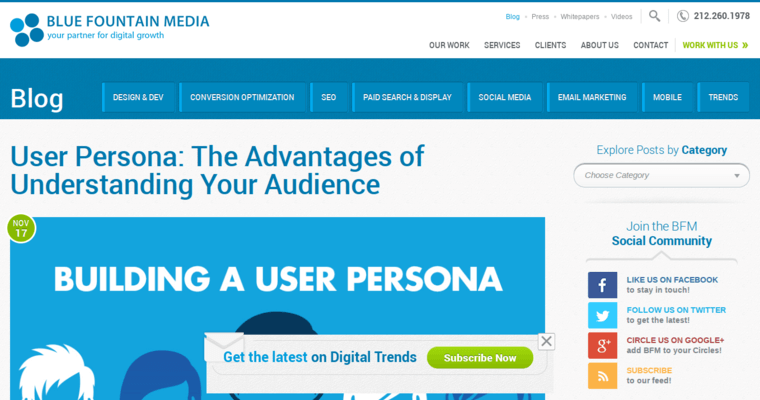 Blue Fountain Media provides a wide range of digital marketing services including assistance with the development of strategic traffic driving methods and assistance with email marketing programs.